Health care providers are charged with the responsibility of making the most beneficial health care decisions for their patients. They have a responsibility to keep those patients safe and to keep others safe from their patients if they feel a patient may pose a danger to the public. When it comes to a person’s ability to drive safely and to avoid a potential car accident, a patient may pose a risk to himself or herself and the public in general. The new law in New Hampshire, HB 263, protects health care professionals from liability if they report a patient as medically unfit to drive. The new Law takes effect January 1, 2015. 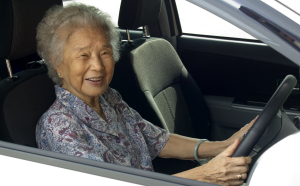 The law has the support of such influential senior and traffic safety groups such as the AARP and AAA of Northern New England. Currently, two thirds of the states in the country have similar immunity laws. The law does not require health care professionals to report a driver they feel is unfit, but protects professionals from any kind of criminal or civil liability by providing immunity to that professional. The law essentially states that a licensed health care professional can report to the NH Division of Motor Vehicles that a patient can’t safely operate the vehicle based on a clinical evaluation related to that health care professional’s practice. The state will then review that report and the professional who reported the patient is immune from any liability. There are many reasons why a health care professional may feel a driver needs to be off the road for his or her own safety and for the safety of others. The most common reason may be age. Certain health conditions and cognitive impairments may also lead a health care provider to be concerned enough to report a driver. In fact, it was recently noted that 95% of health care providers in New Hampshire have been concerned about a patient’s driving ability. By providing legal protection through immunity, more health care professionals may be inclined to take action when concerned. This law is designed to protect providers in the event of an accident or legal incident. It is also expected to save lives over time as drivers who are medically unfit to drive are taken off the road. 263:6-d Reporting Medically Unfit Person; Immunity. Any licensed health care provider who reasonably and in good faith believes a person cannot safely operate a motor vehicle based on clinical evaluation appropriate to his or her practice and who reports such to the division of motor vehicles shall be immune from any civil or criminal liability that might otherwise result from making the report. All reports made and medical records reviewed and maintained by the division of motor vehicles pursuant to this section shall be considered motor vehicle records under RSA 260:14. 258:2 Effective Date. This act shall take effect January 1, 2015. If you have been injured in an accident by a driver who you believe was unfit to drive and should not have been behind the wheel, you should contact an experienced NH accident attorney. The NH injury lawyers at Tenn And Tenn have been helping accident victims recover just compensation for their injuries for more than two decades.